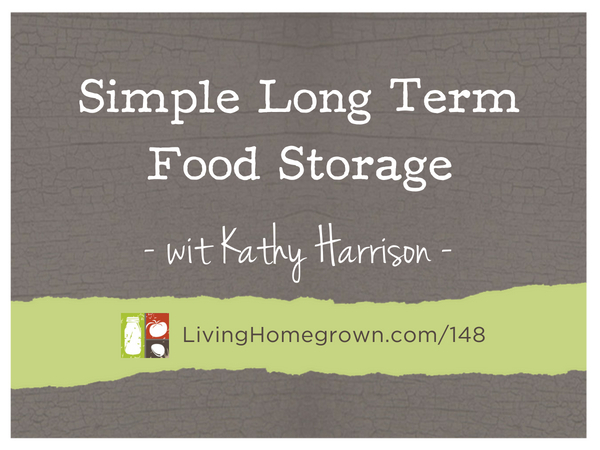 There are SO many topics we could cover about preparedness, but today we’re only focusing on food storage. This is an important topic to cover because no matter where we live, we could face a weather event or community emergency that requires us to be on our own for a bit. Before you say, “I don’t need to prep,” hear me out. I’m not talking about living in fear that at any moment there will be a zombie apocalypse. But I do believe being ready for emergencies is smart because something as simple as a big storm can mean no access to electricity or roads for several days or longer. 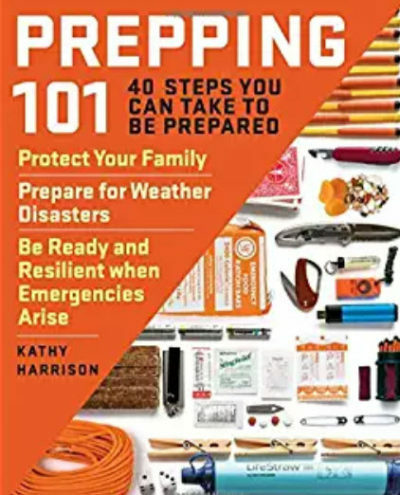 In this episode, we chat with preparation expert and author, Kathy Harrison, about how as gardeners and food preservers, we can plan ahead and be ready when these situations arise. And here’s the best part…We chat about delicious ways to use and rotate out the food we store. You’ll love it! Kathy Harrison is the author of 5 books. 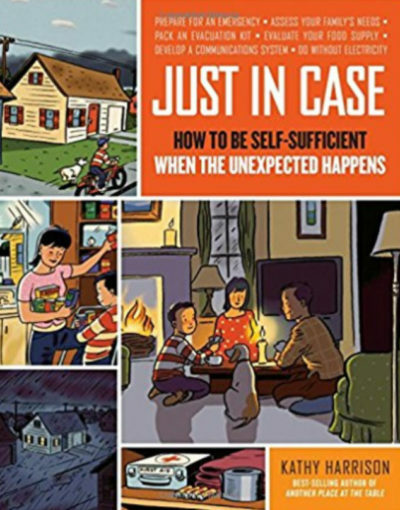 Her last book, Just In Case: How To Be Self-Sufficient When The Unexpected Happens was voted best book on family preparedness by The Prepared. Kathy and her husband, Bruce, live on a tiny homestead in Massachusetts where they raise bees and chickens. They also have a small orchard and greenhouse. Kathy teaches classes in food preservation, soap-making, candle-making, bee keeping and other topics devoted to small-scale farmsteading. 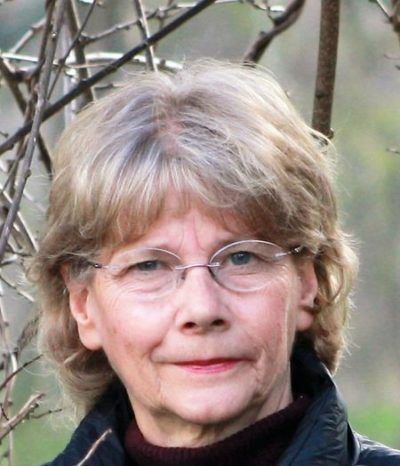 Kathy has presented workshops at the Mother Earth News Sustainable Living Fairs and NOFA conferences and she was an adjunct professor at Greenfield Community classes where she taught classes in the agriculture department.